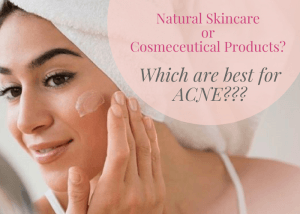 Before we can delve deeper into how effective natural skincare and cosmeceutical products are, we need to have a clear understanding as to the main differences between each. Generally speaking the term ‘cosmetics’ is used to define products which have been designed to enhance aesthetic appearance. These vary between skincare lotions to makeup, hair care products and perfumes, however the majority are made up of synthetic chemicals and preservatives, refined products (when impurities or undesired elements have been removed from a substance), or raw natural ingredients which are sold to a mass market. The term natural cosmetics should not be confused with certified organic, as there is a difference. Many labels claim to contain natural ingredients, but what exactly does this mean? Unlike certified organic products which are heavily regulated and have to be approved by the USDA, the guidelines for natural products are less stringent. As a general rule natural products are usually classified by essential oils, botanicals and crude ingredients such as lavender, beeswax, Aloe Vera, cocoa and body butters. Whilst some of these can at a first glance appear to be natural, it’s important to see how they have been made and if preservatives and other chemicals have been added. The difference for example between standard essential oils which may contain only a small percentage of the actual ingredient with added scent will not be nearly as effective as those which are a pure blend. Cold pressed virgin oils in contrast have been extracted to retain as many of the original properties contained within the natural ingredient as possible, so will be more expensive to purchase, however worth the investment. Always check the label before buying a new product, as some cosmetics which claim to be natural can be mixed with parabens (chemical preservatives), petrochemicals (chemical compounds derived from petroleum / other fossil fuels), GMOs (derivatives from genetically modified organisms) and phthalates (salts and Esther’s used to add flexibility and longevity to a product), which can substantially reduce the benefits and effectiveness of the product. In contrast ‘certified organic’ skincare ranges have to abide by strict codes of conduct and guidelines issued by the USDA and are tested to ensure that they don’t contain any synthetic herbicides, chemical, pesticides. Other regulatory bodies to be aware of are the FDA and the Consumer Product Safety Commission. Unlike organic or synthetic skin care products, cosmeceuticals are a hybrid of cosmetic and pharmaceuticals, which are generally used by licensed practitioners or Dermatologists due to their bioactive ingredients, which are believed to have a stronger potency. Cosmeceuticals do not however have to undergo the same rigorous scientific testing as pharmaceutical drugs do by the FDA, which has led to an ongoing discussion taking place between industry professionals regarding their actual benefits. 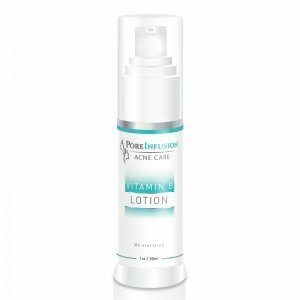 Benzoyl Peroxide helps to exfoliate pores whilst reducing redness and inflammation. Mandelic acid exfoliates dead skin cells. It’s also anti-fungal, anti-inflammatory, lightens hyperpigmentation and boosts collagen production. Green Tea extract is a powerful antioxidant and anti-inflammatory, which helps to reduce the signs of premature aging. 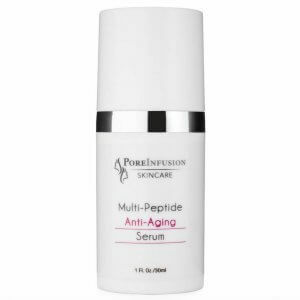 Pomegranate extract is an anti-inflammatory, which helps to reduce the visible appearance of wrinkles. Hops extract balances oil production and has the potential to lighten pigmentation over time. Aloe Vera is hydrating and anti-inflammatory. Panthenol soothes, softens and moisturizes the skin. Allantoin is an anti-irritant which can help to target uneven skin tone. White Oak Bark Extract is an astringent that helps control bacteria. Yukka Extract is an anti-inflammatory. 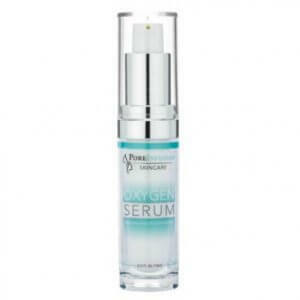 Hyaluronic acid helps to restore moisture in the skin. 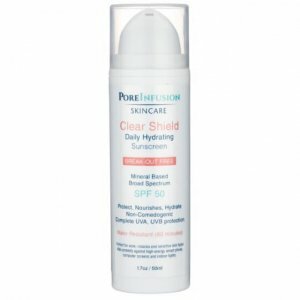 Salicylic acid helps to desensitize, deep clean and disinfect the skin. Witch Hazel helps to shrink pores and balance PH levels. Lavender extract is calming and anti-bacterial. Sage extract has antiseptic and anti-inflammatory properties. Vitamins such as A, B, C, and E help to hydrate, soothe and refresh the skin. Sulfur absorbs excess oil, whilst cleansing and exfoliating the skin. Panthenol (B5) is a deep penetrating natural humectant that moisturizes the skin’s surface and is a natural anti-inflammatory, which has been shown to reduce pore size and minimize breakouts with ongoing daily use. Niacinamide is a derivative of niacin, which is believed to help firm the skin, reduce hyperpigmentation, reduce inflammation and prevent moisture loss. Licorice Root Extract has anti-inflammatory properties and is thought to lighten hyperpigmentation. Chamomille has anti-inflammatory and soothing effects on the skin. It’s important to remember that whilst we may think of natural and organic products being more gentle on the skin, often this is not the case as they can contain powerful antioxidants, nutrients and natural acids, which while being extremely effective can also if not used correctly and under the supervision of a licensed skincare professional, potentially be too harsh or abrasive for the skin, leading to further irritation. In the same way cosmeceutical products whilst again producing good results can be very strong when used over a period of time, which is why we formulated our own specialist range of PoreInfusion skincare cleansers, exfoliators, toners, creams, serums, gels, masks, spot treatments and sun screens, which consist of active ingredients that have been formulated to reduce inflammation, unclog pores, eliminate excess oil and heal post-inflammatory scarring. Every single product in our line is 100% acne safe and where possible is water based to support the body’s natural healing process and target acne. If you’d like to find out more about our virtual consultations or acne treatment services, please contact us directly or schedule your appointment online for a consultation at our centre in Manalapan, New Jersey.